Lady and the Blog → Health → Can We Talk About Tamiflu For A Minute? 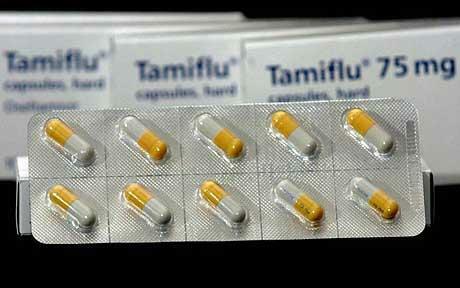 Can We Talk About Tamiflu For A Minute? I’ve mentioned it a few times already on the blog, but I’ve been STRUCK DOWN BY THE FLU! I’m much better today — believe me! World of a difference and it’s all because of a little pill called Tamiflu. I’ve never tried Tamiflu before and so I feel like I have to write about my experience because I have been impacted in such a positive way. I can’t believe I’ve gone all these years without using it. If you’re curious about this drug and want to read a personal blog about someone who recovered from an illness, you’ve come to the right place. The flu hit me in an instant last week. I picked my daughter up from the bus, sat down at the kitchen table, and then my body just collapsed. Instantly, I started to feel aches and pains all up and down my back and then became weak and exhausted. Understand what I am saying — this happened within 10 minutes. Before I knew it … I had a high fever, chills, pains, and night sweats. It was insane! I guess if you’ve had the flu before, you know what I am saying. My husband insisted that I go to see the doctor but I didn’t go until Saturday morning. WHY ON EARTH I waited so long is BEYOND ME. Luckily, I was within the 48-hour mark and was given Tamiflu. After 2 pills of Tamiflu… I felt SO MUCH BETTER. Now… let me warn you. The flu test is rather uncomfortable. They have to shove these little swabs up your nose and into your BRAINS – ok just kidding but it’s pretty far up. It feels TOTALLY STRANGE and it makes your eyes tear. But it’s the only way to test whether or not you actually have the flu. And FYI – there is an over the counter version and a prescription version of Tamiflu. You want the prescription one!!! Not the one that you buy on your own. Go to the doctor if you have the flu!! I didn’t think that there was any medicine that could help but there is and I’ve taken it and I am so happy that I did. Fever, night sweats, BODY PAINS — all gone after first two pills. Look… I’m still weak and tired BUT I am functioning and pain-free. The worst part about the flu are the symptoms, right? The body aches. The way your back and your joints feel. LIKE DEATH. I agree that if you are feeling feverish and have body aches, you should go see a doctor as soon as possible instead of trying to wait it out.